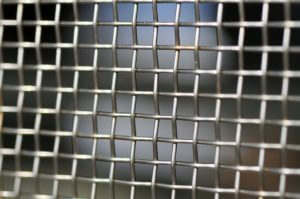 Woven mesh - huge stocks of stainless steel - low prices! At some stage of production, many industries needs to sieve, screen or grade their raw materials or products. In support of this, there is nothing quite as superior as woven wire mesh as a filtration medium. It is a highly durable material, being both resistant to corrosion and very strong. Mesh also offers excellent open areas. Likewise, it is supplied in many specifications. 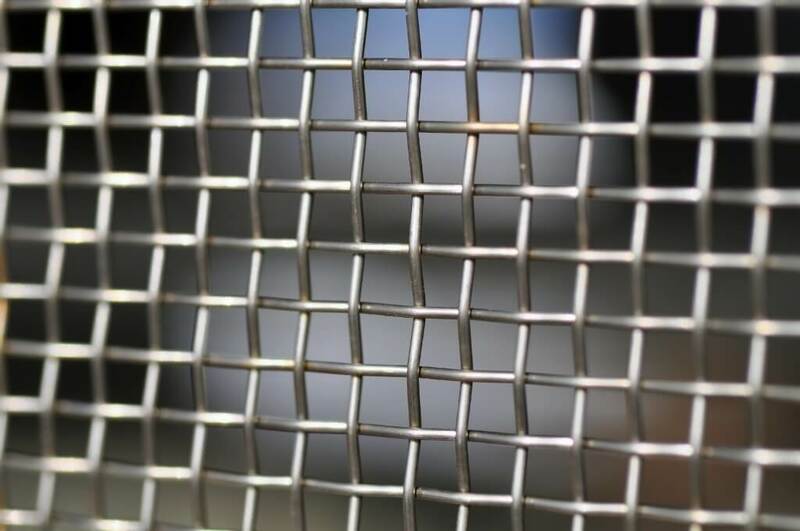 We also supply stainless steel woven mesh for many other uses. Hence, we sell mesh for use against insects, against flies and in soffit vents. Similarly, it is sold as rodent-proofing material and for beekeeping. We maintain huge stocks of mesh. Rolls of woven wire stainless steel mesh (conforming to ISO 9044:1999) are readily available in a wide range of mesh specifications. We keep stocks with a mesh count from 2 mesh (with a 1.6 mm wire diameter) through to 500 mesh (with a 0.025 mm wire diameter). These provide apertures from 11.1 mm down to 0.025 mm (25 microns). Primarily of stainless steel, woven wire mesh stocks are also held in a range of other materials. These include mild steel, brass, phosphor bronze, copper, monel, aluminium and nylon. Furthermore, we stock Type 304 and Type 316 stainless steel mesh in most specifications. 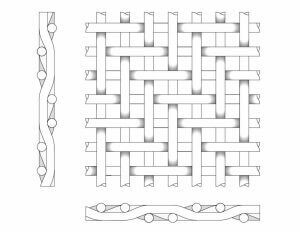 For an explanation of some of the more common terms used to describe woven wire mesh please see our glossary. 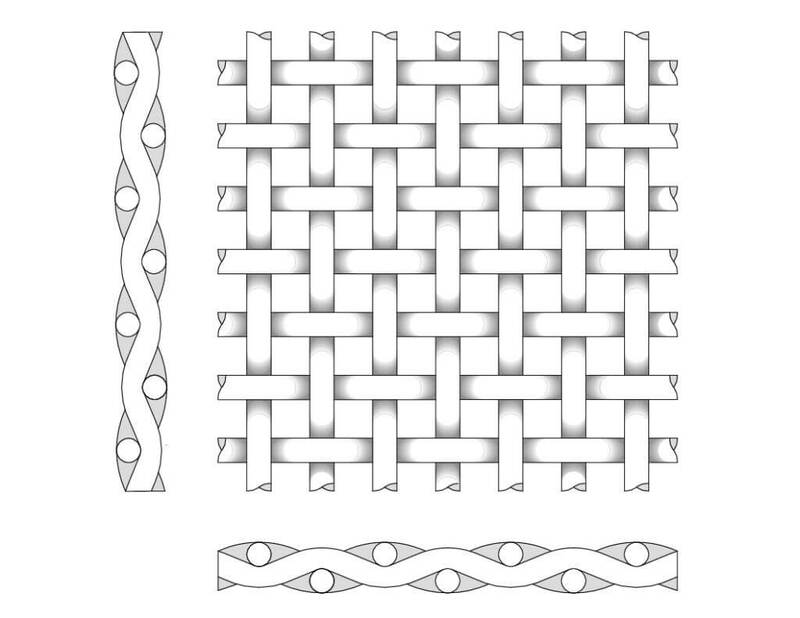 Mesh can be woven in several ways. The largest demand is for plain weave woven mesh. 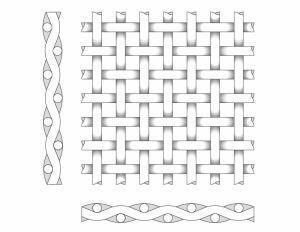 For the finer meshes, twilled weave woven mesh is available from our stocks. We also supply plain dutch and twilled dutch weaves. Of note, the dutch weaves allow for the finest filtration, down to 0.006 mm (6 microns). We maintain extensive in-house facilities for cutting, slitting and blanking. As a result, we are able to supply panels, discs, washers, rectangular screens or cylinders to your custom specifications. Also, we provide a re-meshing service for tensioned mesh sieves. Similarly, we are suppliers of hand sieves. Please feel free to contact us to ask any questions. Our phone number is 01782 412521. We want to discuss your requirements and offer a no obligation quote. determine the aperture size, open area and weight of stainless woven wire mesh. convert standard wire gauges into wire diameters. convert between metric and imperial length measurements. allow addition and subtraction of feet and inches. 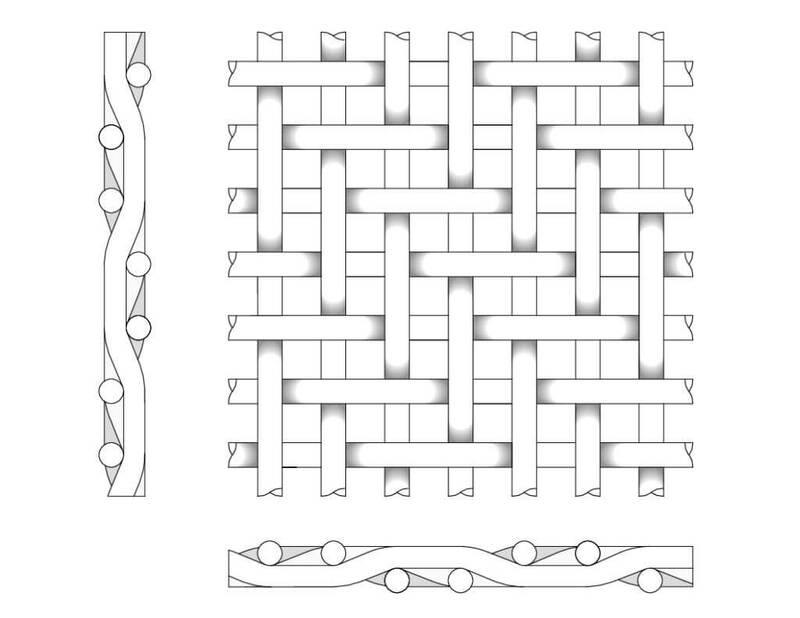 calculate the tolerances acceptable in woven wire mesh as set out in ISO 9044:1999. Finally, there is an online version on our ‘Calculator‘ page.